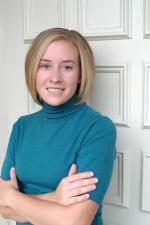 Posted on April 02, 2013 at 9:41:15 am by Holly H.
Are you following Visit Fort Wayne on Facebook? If you aren&apos;t yet, now&apos;s the time to do so! 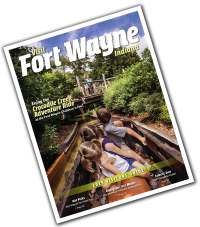 Join close to 3,000 others who love learning about Fort Wayne and happenings around the city on a daily basis. Looking for a restaurant suggestion? 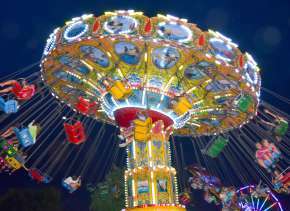 Maybe an idea for date night? Or perhaps you want to know what events are going on in the city the weekend you will be in town. You can find it all here. 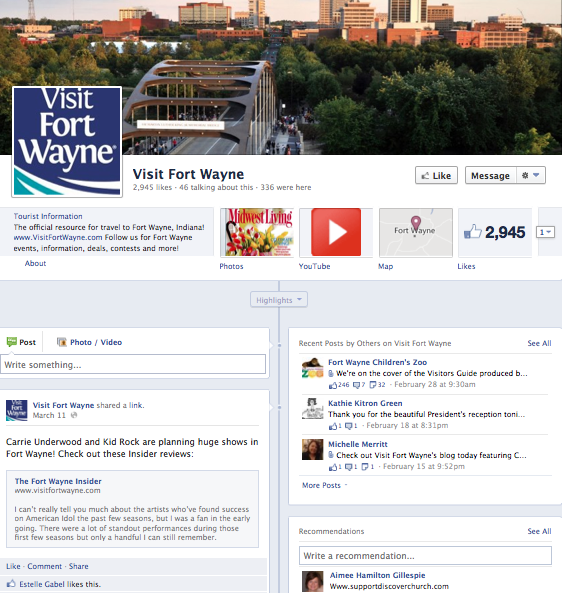 On the Visit Fort Wayne Facebook page, posts from the Visit Fort Wayne blog are shared on a regular basis. 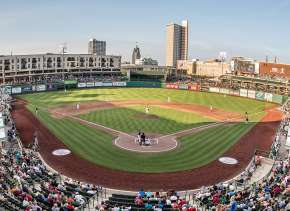 Locals share their tips and reasons why they love Fort Wayne. You can even find mentions of Fort Wayne in the local and national press here! Everything you want to know about your hometown is here. 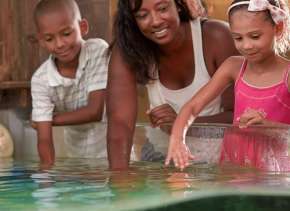 For visitors, following the Facebook page is a great way to plan a trip to the Summit City. In short the Facebook page is like a mini-news center for everything Fort Wayne and Allen County. Be the first to hear about "insider" tips and upcoming events here too. Don&apos;t delay. Click "like" and join in on all the fun and fellowship with others who love this great city!